Roku’s Amazon VOD in Beta. YouTube next? 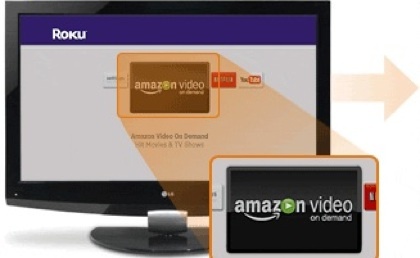 Dave Zatz: We knew Amazon Video on Demand was headed to Roku’s media streamer ($99) early this year. And now, via their forums, we have word that the service has entered private beta. Dave Zatz: Earlier this week, I received Rogue Amoeba’s periodic email newsletter. Among other things, I learned they’re pretty far along on Pulsar – an OS X app that allows you to stream XM or Sirius online radio stations. Dave Zatz: TiVo Desktop 2.7 has hit the streets. This Windows software update packs several enhancements.